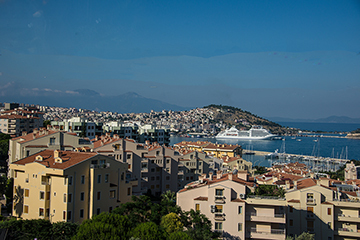 As we return from Istanbul on our way to Athens and beyond, we are back in Kusadasi, gateway to the global treasure of Ephesus. You can read more details in my blog entry for June 17. 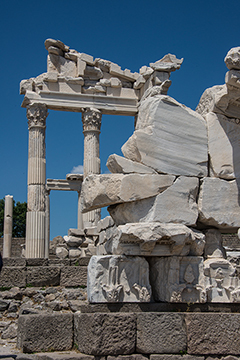 Here are some new photos from ancient Kusadasi, including a statue from the renovated archeological museum in nearby Selcuk. In the Classical Greek era, Ephesus was one of the twelve cities of the Ionian League. And then under the Romans, Ephesus was a major city. In the year 100, it may have been home to as many as 500,000 people. That made it one of the largest cities in the Mediterranean. 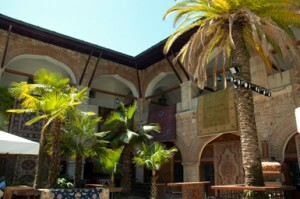 An earthquake partially destroyed the town in 614. The city’s importance as a commercial center declined as the harbor was slowly silted up by the Cayster River. 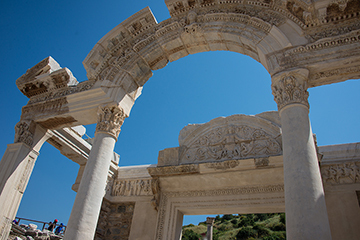 Nevertheless, today Ephesus contains the largest collection of Roman ruins in the eastern Mediterranean. 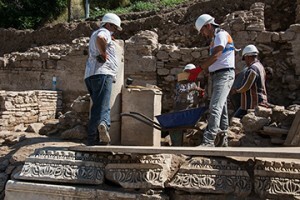 Perhaps only 15 percent has been excavated. The Temple of Artemis was completed around 550 BC. The Temple of Artemis was said to be the largest building of the ancient world, one of the Seven Wonders of the Ancient World. All that remains today is one imperfectly reconstituted column. The Greek goddess Artemis was one of the most widely venerated of the Ancient Greek deities. Her Roman equivalent is Diana. Together with the great Anatolian goddess Cybele, they were together identified as Artemis of Ephesus. 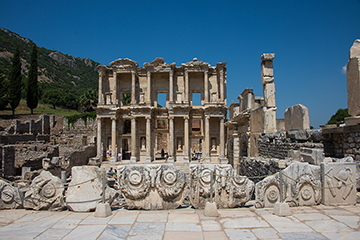 The Library of Celsus was originally built about AD 125 AD in memory of Tiberius Julius Celsus Polemaeanus, the Greek governor of Roman Asia in the Roman Empire. Before he died, Celsus paid for its construction from his considerable personal wealth, and he is buried in a sarcophagus beneath it. 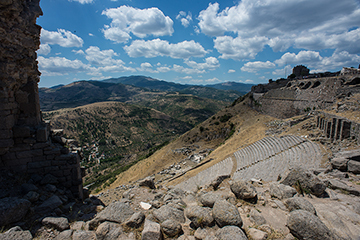 From AD 52–54, Paul lived in Ephesus, working with the local Christians and—according to some—organizing missionary activity in the far reaches. 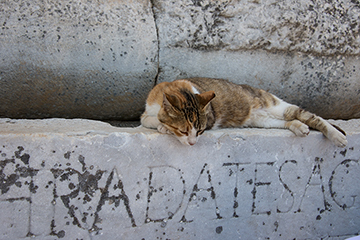 Also in the area was the apostle John. 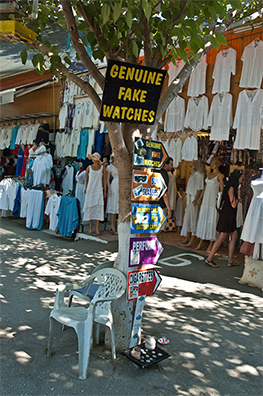 The Gospel of John may have been written in Ephesus, about A.D. 90–100. Dikili is a lesser-visited port of the great nation of Turkey. But it allows entry to a remarkable place of history: Pergamon. 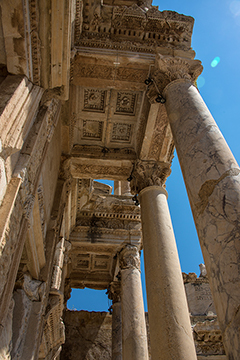 Pergamon’s library on the Acropolis (the ancient Library of Pergamum) was the second best in the ancient Greek civilization, behind only the Great Library of Alexandria. The library at Pergamon was believed to contain 200,000 volumes, which Mark Antony later gave to Cleopatra as a wedding present. 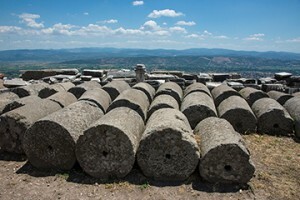 Pergamon was also a flourishing center for the production of parchment, which had been used in Asia minor long before the rise of the city. The Asclepion, named after the god of health, is reached via a sacred road lined with monuments and architectural fragments. The Asclepion was a center of learning and science, along with a rehabilitation center and a sacred spring: a little bit of everything. 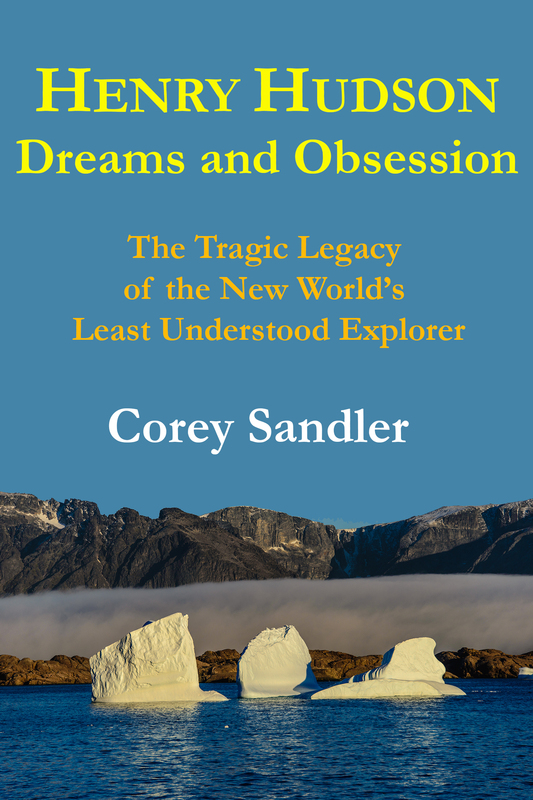 There are some major ruins still in place, and descriptions of the city but the most significant piece of architecture lies about two thousand miles or three thousand kilometers away, in Berlin, Germany. 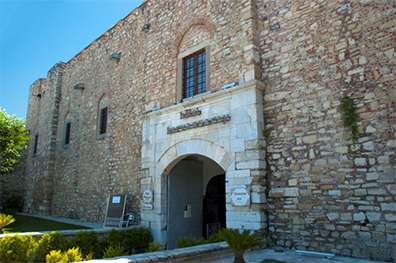 A major museum in the heart of the city completed in 1930, the museum holds the reconstructed Great Altar of Pergamon and the Market Gate of Miletus, both transported from Turkey.